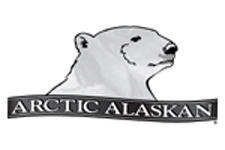 A & J Fisheries is a family owned and operated commercial fishing business in Southeast Alaska. All of our salmon are harvested in the cold clean waters of Southeast. Our method of fishing is known as "trolling", which is a hook & line fishery. We sell what we catch, therefore, we are truly limited to "stock on hand". As commercial fishermen for more than 20 years, our goal is to provide a superior product available directly to the consumer. The highest quality of our products is our top priority. We hope that you will take this opportunity to enjoy the great taste of Wild Alaskan Salmon and are confident you will taste the difference!